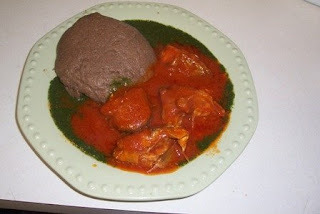 Bolorunduro village in Ondo State was thrown into mourning last Wednesday when a family of five died after eating amala (yam flour). The names of the deceased were given as Michael Onoja, 56; his wife, Comfort 42, Monday,24; Patience, 21; and the eight-year-old grandchild, Joy Odoh. 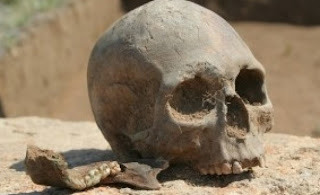 Police men in Ogun state on Tuesday paraded Pastor Michael Oyewole (29) and Mathew Akiode (30) at the command’s headquarters Eleweran, for allegedly digging out a human skull in Sabo, Abeokuta.